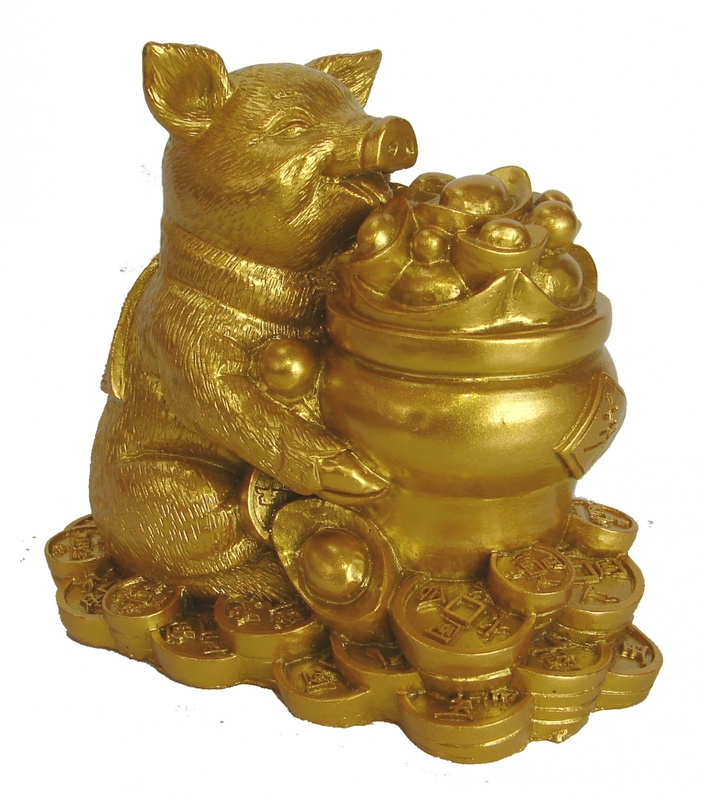 This golden pig statue is holding a big golden money pot to stand for accumulating wealth for Chinese lunar year of pig. The dimension of this small pig statue is approx. 4.5" x 3" x 4". It is made of resin.